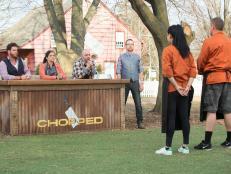 Chefs Daniel Gomez Sanchez and Sophina Uong during Round 3 deliberation, as seen on Food Network's Chopped, Grill Masters Special. Tonight Chopped Grill Masters found its Grand Champion! 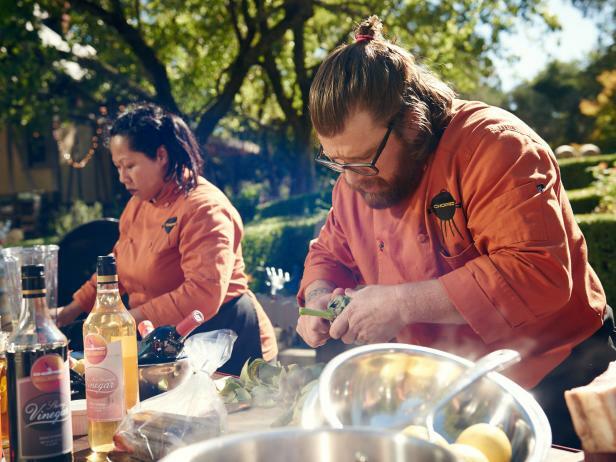 Four chefs who won the preliminary rounds came back for one last battle in the Napa Valley, sweating over hot grills to create the best dishes of their lives. 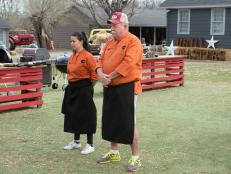 The competition was so close that the judges had to take into account every single detail. 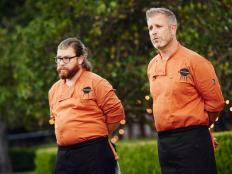 Surprisingly, the most-lauded chefs were knocked out in the initial two rounds, leaving an underdog vs. a fine-dining chef. 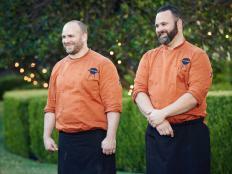 In the final round, both turned out desserts that earned them high marks and applause, but as the rules go, the judges had to consider every round. The one who cooked the best three courses left not only with the Grand Champion title, but also with a whopping $50,000 grand prize. 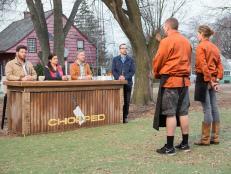 Hear from the Chopped Grill Masters Grand Champion now. 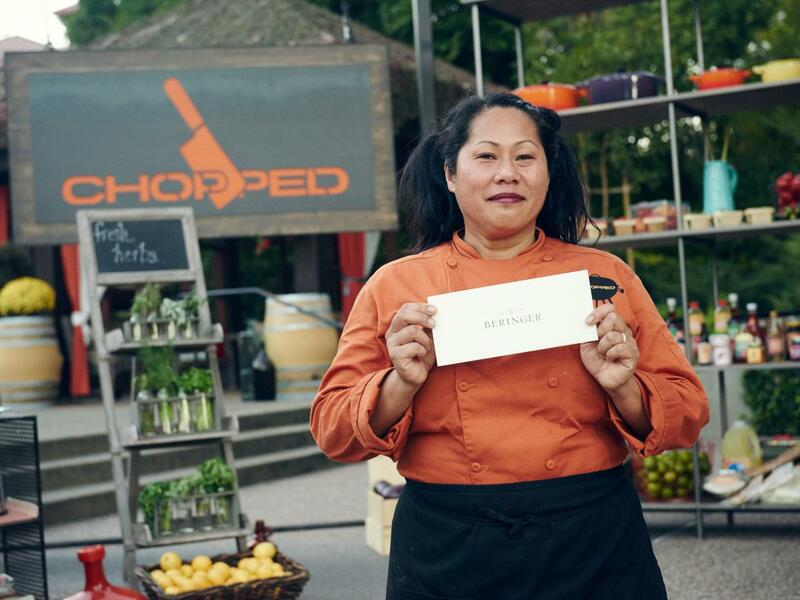 Chef Sophina Uong after winning the finale, as seen on Food Network's Chopped, Grill Masters Special. Sophina came into the finale talking the talk, but she didn't always walk the walk. 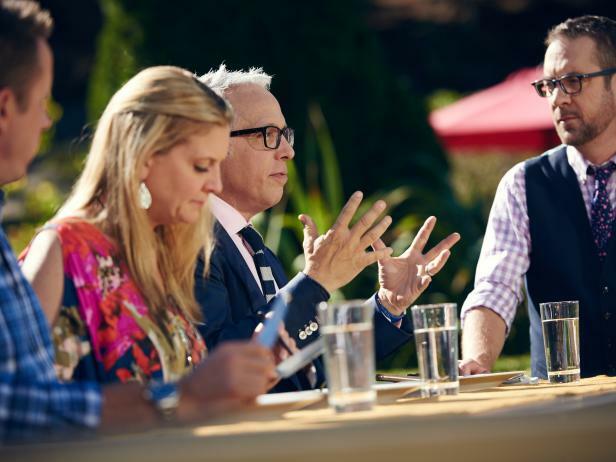 She put out a strong appetizer of a pig’s head salad over grilled escarole, but the judges found her portion size too large for a first course. In her entree she started out just as confidently, but after her blender filled with garlic sauce tipped over, she got off track and dropped her pot of artichokes too. The judges liked how she worked her steak, and they enjoyed the sauce and side dish despite there not being enough of both on the plate. 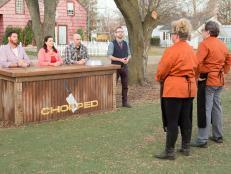 Going into the final round, desserts, Sophina regained her composure, and her confidence came back. 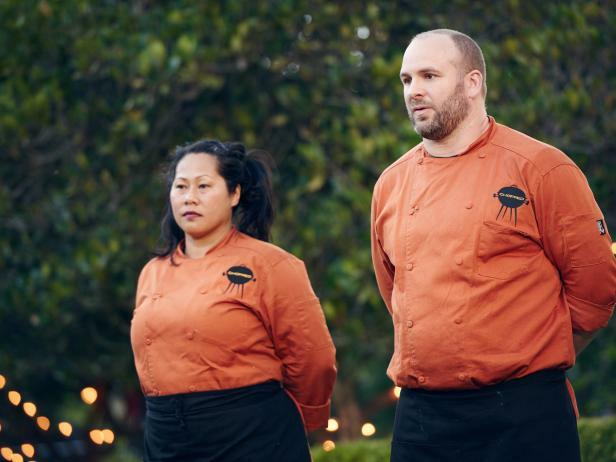 She completely reimagined the babka and turned it into brownies, using the goat cheese as a binder, but the judges felt the cheese got a little lost. 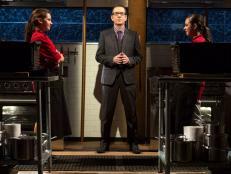 Although the judges loved Daniel's dessert just as much, Sophina's three courses were found to be the strongest. She leaves the Grand Champion with an additional $50,000 to add to the $10,000 she earned in her preliminary round. What was your mentality like coming into this final battle? Sophina Uong: Just win all day. Just keep pushing, and win. How would you compare this battle to your earlier one? SU: This one was much more exciting and just thrilling, because the competitors were so fierce. Were you more nervous this time or more confident this time? 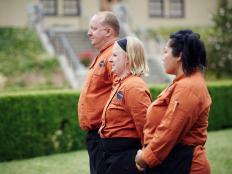 SU: I was more nervous this time just going against such pedigreed chefs, and just the bravado that they each had. Chefs Sophina Uong and Jonathan Sawyer preparing their dishes for Round 2, as seen on Food Network's Chopped, Grill Masters Special. Among your other three competitors, who did you see as your biggest competition? SU: Jonathon. Man, he can put some nuance on a plate very quickly, and just the thought process behind it — super inspiring. Did any of the mystery basket ingredients throw you for a loop? SU: The babka definitely threw me for a loop. I had had a hard time with the two baked ingredients I had had previously, in the last competition. So, the babka for sure. 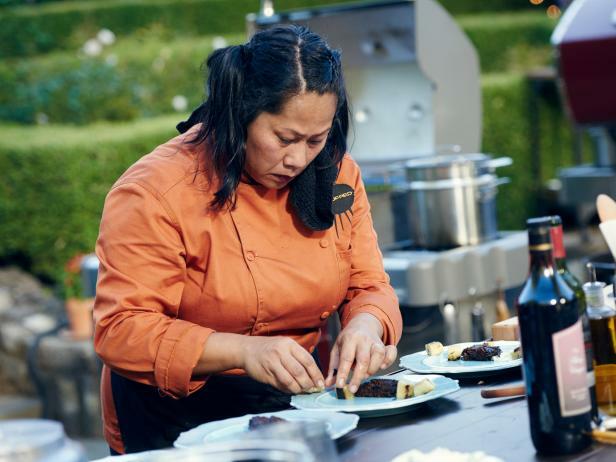 Chef Sophina Uong preparing her dish for Round 3, Goat Cheese & Babka Brownie with Plancha Grilled Bananas with a Red Wine Reduction, as seen on Food Network's Chopped, Grill Masters Special. How well do you think you managed the babka? SU: Well, besides overcaramelizing the chocolate, I think I did fairly well to keep the moisture in. 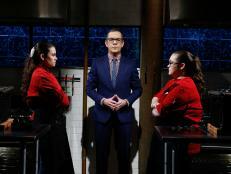 What do you think about the judges’ comments about your dishes today? 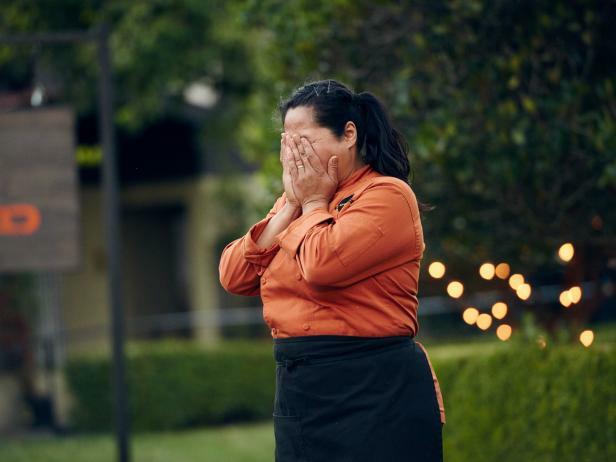 SU: Just something I’ll never forget, and it’s the gratitude and the honor I have to cook for them, and the support is immense. And … it really did validate that I’m a good cook, and that bitter is good, and, you know, just to push. Judges Marc Murphy, Amanda Freitag and Geoffrey Zakarian with Host Ted Allen during deliberation for Round 2, as seen on Food Network's Chopped, Grill Masters Special. Did you agree or disagree with most of the specific critiques they had on your dishes? SU: I definitely agreed with the porterhouse, for sure, and you find yourself second-guessing as you’re going through, but I made that decision to, you know, take a risk, and I sure did. Did you think that you would come this far in the competition? SU: I definitely thought I had the first competition. Definitely. Coming this far, I thought I would have been Chopped after … definitely after the entrees. Host Ted Allen watches Chef Sophina Uong preparing her Round 2 dish, Grilled Porterhouse with Lemongrass Smoked Razor Clam & Grilled Artichoke Salsa, as seen on Food Network's Chopped, Grill Masters Special. 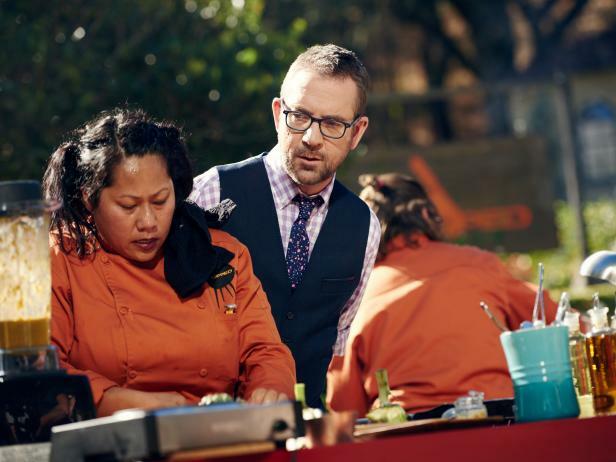 SU: Just, you know, it’s Grill Masters, and I kind of, you know …. My meat was a little bit undergrilled, so to speak, but yeah. Did you ever doubt yourself today? SU: Absolutely. I doubted myself often, but when I would look up and just … . You know, there’s moments of clarity, of … “Don’t listen to everybody, and don’t look, and just smell and feel the heat,” and it really pushed me. 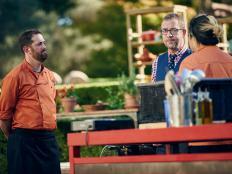 What does it mean for you to be leaving with the title Grill Masters Grand Champion and the prize money? SU: It is the most-amazing feeling to feel like a champ, you know, to be the champion and to know that I have worked so hard and beat so many dudes to get here, or chefs — excuse me, badass chefs — and leaving with the money, it’s great. As soon as I get it, I’m going to book some tickets and, you know, maybe put a reservation on a place to get married.